As I mentioned at the end of November that it has been extremely hectic around these parts. 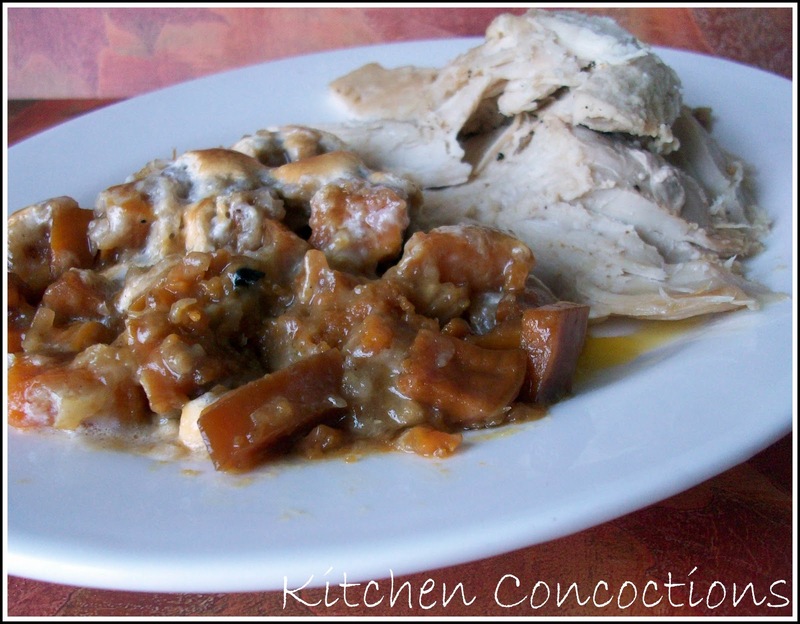 This was the reason it took me two weeks to share all the recipes for ‘turkey week’. Because it took me two weeks to get through those recipes I never got to post November’s cookbook of the month. Some of you may have not even noticed or cared about this. And honestly, I thought about skipping it for November, but for once I actually had all FIVE CBOM recipes made and ready to be blogged about before hand. And because I already had a cookbook chosen for the month of December and it centers around something I have planned (it will be exciting so stay tuned!!) I couldn’t just replace December’s book with the cookbook I had ready. AND (let’s count how many times I will use AND today) because I have something new in store for the cookbook of the month series for the new year, my only option was to post November’s CBOM a month late. So November’s CBOM was supposed to be Down Home with the Neelys : A Southern Family Cookbook. This was a fun cookbook and one that I had been wanting to explore for sometime. It is loaded with recipes, from appetizers, to desserts, to side dishes and entrees; with even a section for adult beverages. The intro is written by Paula Deen (since it was her and her sons who discovered the Neelys and their BBQ joint). 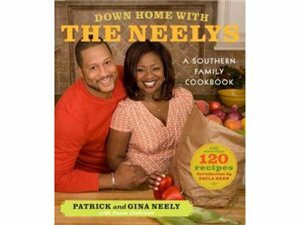 Then there are intros written by both Gina and Pat Neely telling their personal stories. What a fun way to start the book! Also each recipe had a short story that introduces the recipe. I always like when cookbooks are written like this because it is fun to read the background story of each recipe (kind of like blogs!). In my opinion, this is a fun well written cookbook. Because the Neelys own a BBQ restaurant a lot of the recipes in the book originate from their restaurant, therefore a lot of the recipes are BBQ based. But in addition to your classic BBQ recipes like BBQ ribs and sandwiches, there are recipes like BBQ Spaghetti, BBQ Meatloaf, and BBQ Nachos! All of the recipes seem fairly easy, although there are some that do require quite a few ingredients or multiple steps. And pictures? Well there are quite a few but about half of them are personal family photos. I did like, however, that they did have some some step-by-step pictures with how-to instructions for a couple of the recipes. I had great success with all of the recipes I made and chose to feature and overall I thoroughly enjoyed this book and would recommend it. It truly is ‘down home’ cookin’. The first recipe I tried (and you actually saw when I was doing turkey week) were these sweet potatoes. And let me just tell you these were A-mazing! When Eric saw me making them he started complaining that he didn’t like sweet potatoes and wasn’t going to eat them. I said fine, more for me! He then tried one bite and was ‘oh-ing’ and ‘ah-ing’ and was going for more and then more again! When Thanksgiving came around he asked if I would make these sweet potatoes again. I told him that someone was already bringing sweet potatoes to his family’s Thanksgiving dinner but that I would make them to bring to my family’s dinner. Well then I didn’t have time to make them and totally disappointed Eric! 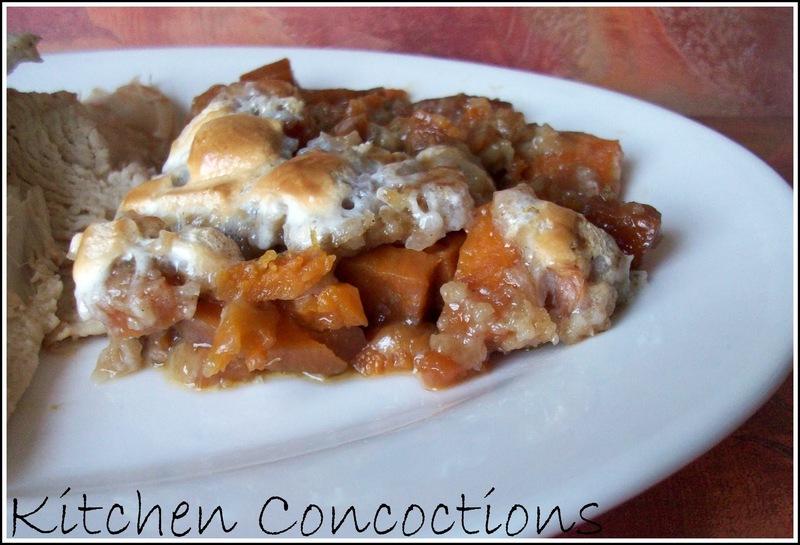 And while Thanksgiving maybe over for this year, these sweet potatoes would be tasty at Christmas with a ham (I know I will defiantly be making them at Christmas) or as a tasty fall/winter side dish accompanying a pork loin or pork chops! Notes: This recipe does take some time to cook but is so easy. I like how the sweet potatoes are cooked in ‘chunks’ all in one pot and not boiled, mashed and cooked again. Also the original recipe called for cane syrup but I did not have any on hand so I substituted molasses and brown sugar. Another Note: The original recipe for the streusel topping called for pecans but I didn’t have any on hand, so I substituted coconut flakes and honestly I think that is what put these sweet potatoes over the top! In fact that is what Eric said is what he liked about them so much! Arrange the potatoes in 13 by 9 by 2-inch glass baking dish. Combine the molasses, brown sugar, butter, and salt in a small saucepan over medium heat. Bring to a boil, then remove the pan from the heat. Stir in the orange zest. Pour the sugar mixture over the potatoes, and toss the potatoes to coat. Cover the dish tightly with foil. Bake for 50 minutes, and then remove the dish from the oven, remove the foil, and bake until the potatoes are tender and the syrup has thickened slightly, basting occasionally, about 20 minutes. Combine the butter, brown sugar, flour, cinnamon, salt, in the bowl of a food processor fitted with a metal blade, and pulse the mixture until it resembles coarse pebbles. Transfer the mixture to a bowl, then add the marshmallows and coconut and toss to combine. Raise the oven temperature to 425 degrees F. Remove the baking dish from the oven and cover the potatoes with the marshmallow/coconut streusel. Return to the oven, and bake until the topping is bubbly and browned, about 10 minutes. « A Giveaway That Gives Back! Me too! I want to try them! You have to make them at Christmas!